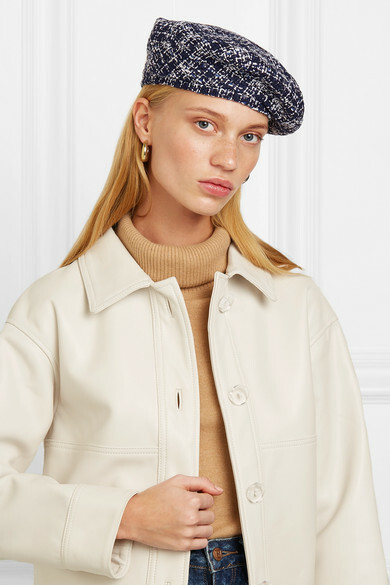 We'd argue that berets haven't been this popular since Brigitte Bardot and Twiggy wore them - over the last few seasons, they've reappeared on so many runways and influencers' Instagram pages. 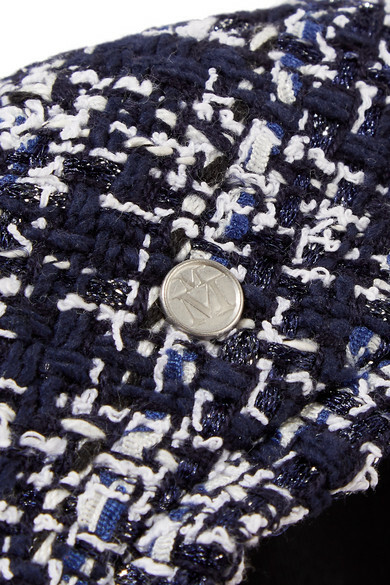 Made from metallic cotton-blend tweed, Maison Michel's 'Flore' version is lined in soft twill so you won't be left with dreaded hat hair. Shown here with: AGOLDE Jeans, Alaïa Sweater, Solace London Jacket, Laura Lombardi Earrings.